This is Tsering Hannaford’s fourth time in the Archibald Prize. Born in 1987 in Adelaide, where she lives and works, she is a largely self-taught artist though she has taken classes and intensive short courses in Australia, France and the US. 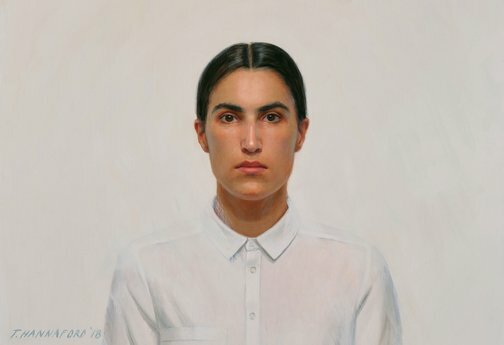 ‘I am interested in the history of self-portraiture, particularly women’s self-portraits and the tension that arises when artist is both painter and subject,’ she says.